A mixed-breed dog is a testament to nature. Without any input from humans, the mixed breed defies description. Available in all sizes, shapes, colors, and patterns, he might have a long snout or a short nose. He may display prick ears or floppy ones. He could have a stubby tail, spindly legs, a giant spot over his left eye or all three. Drawing from a broader, more diverse gene pool, his intensity is softer than his pedigreed cousins, his drives and compulsions mercifully muted. How can you celebrate national Mutt day? 1. Adopt a Mutt from your local shelter or rescue organization. Volunteer at your local shelter and offer to walk a Mutt or play with a Mutt, clean cages or anything else they need help with. 2. Are you prepared for a new Mutt? Make sure you have all the items necessary when bringing a new mutt home. 4. Offer to walk the Mutt of an elderly neighbor. 6. Buy some all natural, organic dog shampoo and give that Mutt a bath! 7. Have a National Mutt Day party and invite all your friends and their dogs! 8. Join the Facebook page and post pics of your Mutt for the world to ooh and ahh over! 9. Order your collectible National Mutt Day tee here! What did you do for National Mutt Day? The spring breeze, the longer days, the joys of being outside in the warm sunshine. 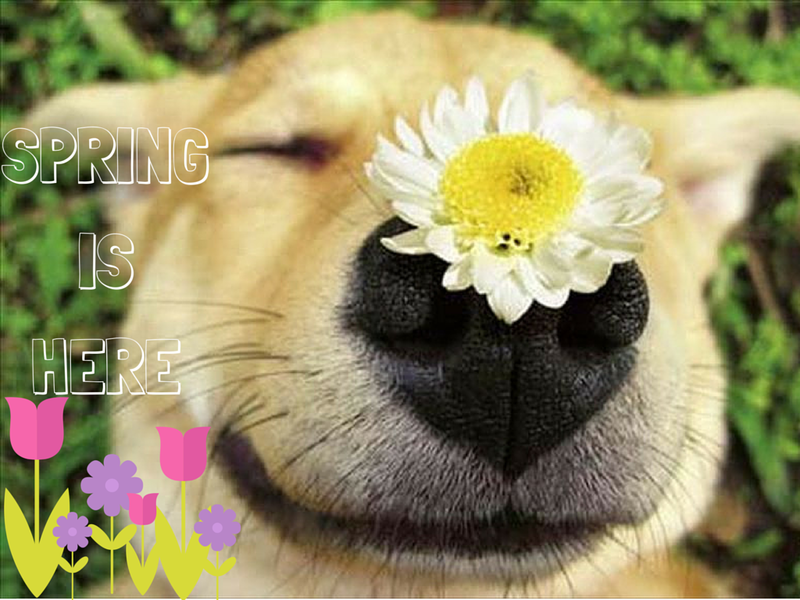 We love spring, and we are oh so glad it’s back! But before you throw reckless abandon into the wind, use our easy spring checklist to make sure your god is just as ready for the changing season as you. Grooming– ‘Tis the season for shedding. Get a leg up on hairballs but taking your pooch to the groomers for a weather appropriate cut. Flea control- Warm weather brings back an assortment of fleas, ticks and the likes. Check out our recommendations on various methods to keep them away. Heartworm prevention– mosquito’s are back ad can bring with them one of the largest dangers to household pets. Now’s the time to get back on the heartworm prevention medication if you took a break during winter. Seasonal allergies– While we may be sneezing with watery eyes and a leaky nose, dog allergies tend to show up on their skin. Keep an eye out for excessive itching. If you think your dog has allergies visit your vet, and look at our guide to homemade remedies that can help ease their itching. Exercise and get into shape– This is the perfect time to start working off those winter pounds. If you have been extra lazy this winter start slow with long walks and work your way up a jog in the park. Shade and water– While this is important year round it’s even more important now! If you are for long periods made sure that your dog is getting some rest in the shade, and enough to drink. We love this portable water bowl which is a snap to carry around. Microchip– if your dog is going to be spending more time outside it’s best to get them a microchip. Just in case..
Keep e’m clean– Running around in the spring to us = running around in the mud. We absolutely love Dog Tails to clean up after a long days play! Some dogs are just content to sleep all day, hang out and chill. But even the laziest of dogs needs a little action in their lives. And sometimes you just have to be the tough love parent and get them moving! Try and understand the reasons they may be lazy. Could it be health or diet related? Worth having a conversation with your vet about this! 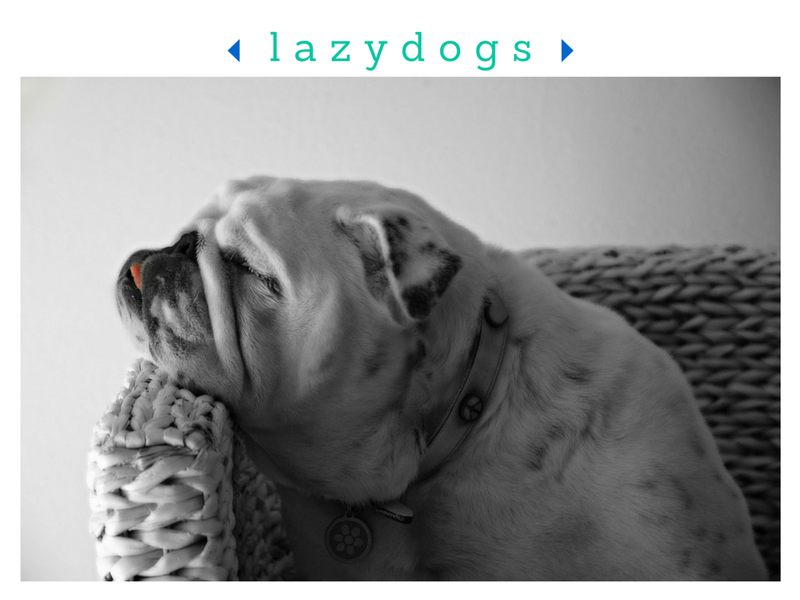 What do you do to motivate your lazy pets? For us March should be spring. It just makes sense. But the snow outside clearly states that is it not. So we are planning a sit it and staying at home until the weather warms up. This means we need to stock up on supplies. Flannel PJs, a super soft blanket, and Netflix is all we need. Keeping warm in style with a Max-Bone cable knit jumper. These adorable sweaters are designed and crafted in LA, and no we checked they don’t come in human sizes. We will be getting our exercise in the form of tug-o-war. These rope toys from Neroko are made in Finland using traditional sailor knots. Now this one we are very excited about, since we can now easily play fetch from the couch with this sleek bamboo ball launcher from Bambeco. Extra points for using mainly reclaimed materials. Winter also calls for comfort food. We will rely on seamless, our pooches will get delicious soup which we have (semi) made ourselves by adding some ingredients to this organic natural base of Mutt Soup. And for those extra snugly moments, we will snuggle in the our soon to be new favorite blanket (which also should keep our pooches hair from going everywhere). But we can’t decide between the Big Sky Blanket in Blue or Red? 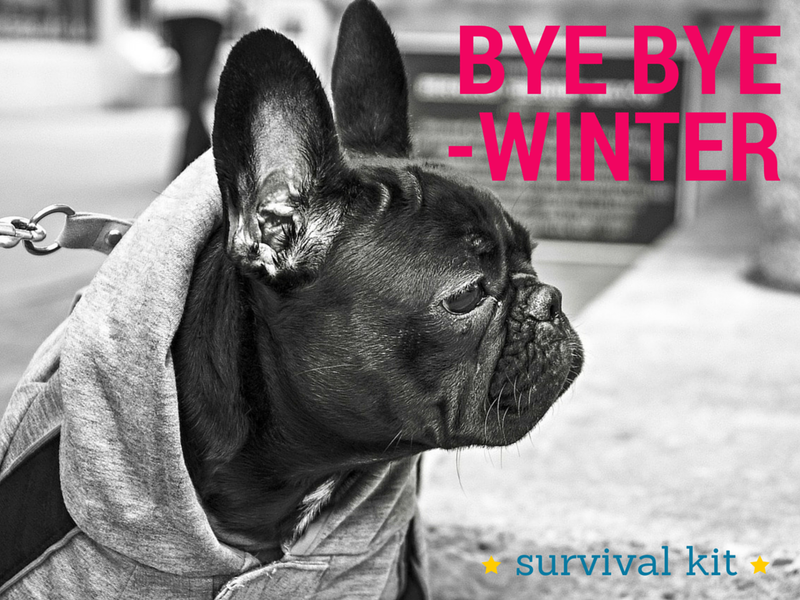 What is in your winter survival kit? Hachiko Debate: Dogs in apartments- what’s the big deal? A friend called me the other day with a common concern- she wants to adopt a dog but has a smallish apartment with no outdoor space. And it seems she’s having a problem with dog shelters (which apparently is not a new problem). So let’s look into this- is it really such a terrible thing to have a dog in a small apartment (hint, no it’s not). Putting aside the fact that there are far too many dogs looking for loving homes, let’s turn to the experts. The main consensus seems to be that it’s not the dog itself, or the size, but rather the breed that matters. 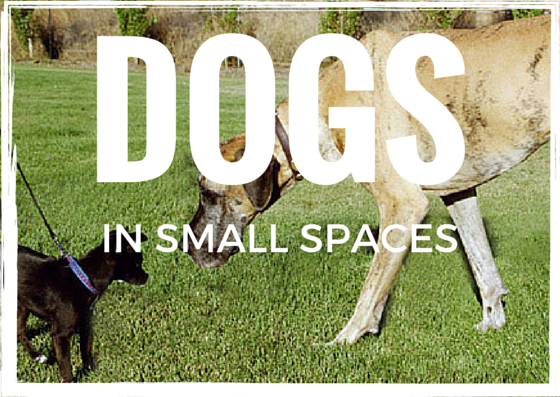 Some breeds are just more adapt to smaller spaces. This is linked to energy levels and what we’re going to call barking potential. This isn’t to say that other breeds won’t suffice. And each dog has their own personality and quirks. You can have the most energetic pooch in small place- just make the time to make sure they get plenty of energy. And of course, if you are renting don’t forget to double check with your landlord! Baby it’s cold outside… the perfect time to try these great indoor exercises! Yes it may be freezing outside, but pooches still need their exercise! While some dogs enjoy a good romp in the snow we have put together a list of the fun exercises you can do from the toasty indoors. Musical canine freestyle- what started as a new method of do training has turned into a professional sport- check out examples here (we also found this crazy example crazy poodle woman workout)! Create your own indoor dogstacle course- use chairs, tables, boxes, mops, hula hoops and whatever else you can find. Run through the course with your pup to get your daily exercise as well! Have stairs? Use ‘em- run up and down the stairs a few times. Guaranteed to wipe you both out. Use a treadmill- there are ones designed especially for dogs (such as DogTread), but you can use a human one, just take the proper precautions.